What was once intended to be a garden for outerspace could someday be a garden for your living room. The DesignLibero Green Wheel is a planter box fashioned into a rotating wheel, offering the benefit of light and space economy for small, sun-starved environments. 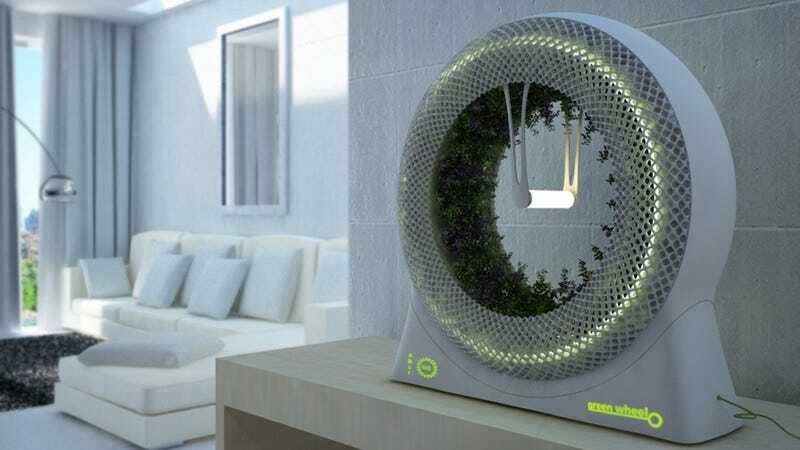 Equipped with an LED light in the middle, the Green Wheel has plants rooted in the circular bed (whose circumference is eight feet) and rotates them in a full circle once an hour, using a water reservoir at the base to nourish the plants. As Co.Design tells it, the concept was originally created by NASA in the 1980s, but never made it past the design stage. Here's hoping this concept does.